Site terms and condition of use and sales. On-line purchasers will not be able to proceed with their purchase without the acknowledgement and acceptance of terms of general conditions of sales and use of the horse academy site. Checking the box “Validate and general conditions of sales” has value of electronic signature, equivalent to a sale contract between the buyer and the seller legally bound by a written signature. The buyer will receive an order confirmation by email. The email address used, will be the one given by the buyer on the order form. Ridercom has the right to request substantiating documents before giving the information to the subscriber to access the account, or before shipping the merchandises. Horse-academy-tv.com offers, including but not limited to, some teaching tools and informations regarding the practice of horse riding in the form of video sequences, texts, diagrams, plans, pictures, and sound tract. -An on-line shop offering riding equipment, books, and other information media selected by Ridercom. Prices and applicable services are the one mentioned on the site at the date of ordering. Horse-academy-tv.com reserves the right to modify prices at any time without notice, or any retroactive application on-going offers. Before purchasing a subscription, the purchaser must verify that his equipment’s configuration and his internet connexion allow him to read videos in correct conditions. Hereby, he must test it with the free access videos from the site.Horse-academy-tv.com is not liable in case of dysfunction or if the buyer doesn’t have equipment with configuration that will allow him to read the content in the conditions described in article 4. Horse-academy-tv.com can’t guarantee the correct video playback in these cases: non broadband connexion (Non ADSL, or too slow). Site maintenance and ISP (Internet Service provider) outage will not give rise for any reimbursement. Horse-academy-tv.com reserves the right to record all the informations of our subscriber or registered members as the website services will no work correctly without such informations. In compliance with the Data Protection Act of January 6th 1978, internet users registered on our site can request the rectification of incorrect information that applies to them, by sending a letter to: Ridercom-domaine des Ferrieres-01480 Chaleins-France, or by sending an e-mail to contact@horse-academy-tv.com letting us know. 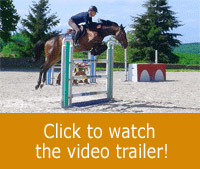 Via Horse-academy-tv.com, registered website users can received offers from our partners, or some notifications from horse-academy by email or mail. If you do not want to receive these notifications, you can request to be removed from the mailing list by sending us a letter at Ridercom- Domaine des Ferrières – 01480 Chaleins – France, or sending an e-mail to : contact@horse-academy-tv.com letting us know. Any order, of any product or service, made on the website Horse-academy-tv.com obligates the client as soon as he has registered on the website horse-academy-tv.com. Horse-academy-tv.com will not be liable for any inconvenience or damage inherent to the use of internet (disruption of service, internet breach, software viruses) and in case of fraud following a bank card or check payment. Ridercom Editions and/ or the authors of or persons presented on videos will not be liable for the reading and for the application of the advice and riding demonstrations presented on horse-academy-tv.com. We would like to remind the web-users that horse riding is a dangerous sport and that wearing a helmet is mandatory in any circumstance. Ridercom or persons not wearing a helmet on some videos of the website horse-academy-tv.com can’t be liable in any case for the hazard related to the decision of a rider web-user, minor or adult, who rides without protection gear (helmet). 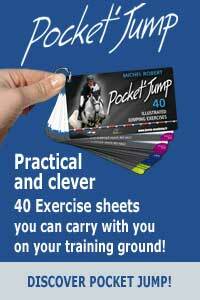 In case of material failure of items bought on the horse Academy website, Ridercom's liability is limited to the replacement or refund of the item. In no case, can Rider's com civil or professional liability or that of one of his representatives be accused of malfunctioning or failure of items sold or recommended by Horse Academy . We release all responsibility in case that the item purchased is not in compliance with or certified by the legislation or statutes of a country other than France. Ridercom Edition grants the web-users whether they are registered or subscribers, or not, an access right to the content (under any kind of form: visual, sound track, intellectual….) on the site horse-academy-tv.com in a private capacity, non-transferable, non-transmittable. Therefore, the activation sign-up codes from a subscriber’s account are personal and can’t be transferred or shared with a third party. The given code can open only one session at a time. By sharing his/her code with a third party, the subscriber or registered user exposes himself to judicial proceedings and to the suppression of his/her right to access the site with no monetary compensation whatsoever. Horse-academy-tv.com reserves the right to suspend or terminate a subscription in case of diffusion of the activation code to a third party, with no monetary compensation whatsoever for the client. Any use of the content of the site Horse-academy-tv.com which does not comply with the code of the intellectual and artistic property is illegal. Therefore, web-user, simply visiting or a registered or subscriber member is not allowed to copy, distribute, resell, store, commercialise, adapt, translate or modify all or part of the content of the site horse-academy-tv.com whether is done for free or for money. The distribution of the content is reserved to strictly personal use and cannot in any case lead to a public distribution. When paying by check, the purchaser will not receive his/her subscription’s activation codes or goods until the check has been cashed on the account of Ridercom. Horse-academy-tv.com reserves the right to hold on or cancel a subscription order in case of refusal of payment by banks or affiliations or in case of non-payment. Ridercom is committed to ship within 72 hours maximum goods that have been ordered if they are available in stock, and to provide subscription activation codes at the completion of full payment of the order. The payment processing time is for information purposes only, and eventual delays don’t entitle the purchaser in cancelling his/ her order or in monetary compensation whatsoever. Claims will have to be made within 7 days after reception of the order and/or the activation codes by the purchaser. Ridercom is released from its obligation to deliver the goods and/or activation codes, in case fortuity, unforeseeable circumstances or force majeure. As a guide, strikes (full or partial), flooding, fire are cases of force majeure. At the moment a purchaser has ordered a subscription and has received his codes to connect to the site, no refund will be given, unless Ridercom expressly agreed for it. The subscription duration of use is valid from the day the subscriber was sent the activation code. For monthly subscriptions, the account will stay active until the user cancels it by means of his Paypal account. Horse-Academy-tv.com reserves the right to terminate this site at any time and without notice but guarantees the services until all current subscriptions expire. The subscription legal duration corresponds with the one indicated on the subscriber’s account under the section “expiration date”. For monthly subscriptions, the expiration date is the date of the last payment + 30 days. Purchasers will need a return agreement from Ridercom before returning any merchandise. If the purchaser made a mistake (wrong size, wrong colour or wrong shipping address…), the return shipping costs will be paid by the purchaser. In case of non-compliance or visible defect of the merchandise, the purchaser can request the replacement or refund of his order. The defective product will have to be returned by the client in his original packaging within 7 days of reception. If the purchased merchandise is not available anymore, Ridercom will refund the purchaser. Goods that have been used or returned without the original packaging will not be refunded. For any questions regarding the post-sale customer service, we’ll consider only French or English messages. Answers will be made in one of these two languages according to the buyer’s nationality. All orders imply the buyer’s compliance with no restrictions whatsoever to the general sales terms and use of horse-academy-tv.com. Disputes regarding the use, subscriptions or merchandises sales will be governed by French law at the commercial court of Lyon. Ridercom Editions Domaine des Ferrières 01480 Chaleins . Our email address: contact@horse-academy-tv.com or click on the contact tab.